Teeth whitening is big business these days, but for all the wrong reasons. While it’s perfectly reasonable to want a whiter, brighter smile, conventional treatments often only provide a temporary fix. Even worse, most common teeth whitening treatments use harsh chemicals like hydrogen peroxide to bleach the surface of your teeth… a process that also damages the integrity of your pearly whites and can leave years of lasting damage. I’m certainly a sucker for white teeth, but as with many people they’ve eluded me for most of my adult life. Years of antibiotic use and daily cups of oh-so-delicious coffee have stained my teeth seemingly beyond repair, but in recent years my research has revealed that there’s still hope for people like me, with unsavory off-white teeth! In fact, several natural ingredients have been shown through both anecdotal and scientific evidence to really make a difference when it comes to whitening your teeth. Check them out and give them a shot — at worst they won’t damage your teeth, and at best they’ll give your toothy smile a new lease on life! When I first heard about people using baking soda as both an alternative toothpaste and natural teeth whitener, I figured they must have been out of their minds. Baking soda is gritty and abrasive… surely it’d quickly erode their teeth and rub their gums raw? But it turns out that as soon as baking soda is mixed with saliva, it becomes a wonderfully gentle paste that, over time, can significantly increase the white factor of your teeth. My method is simple: pour baking soda into a glass jar and leave next to the bathroom sink. Next time you go to brush your teeth, wet your toothbrush a little, dip it into the baking soda and gently begin brushing your front teeth. Once the baking soda works into your saliva a little, you can begin to apply a little more pressure — but don’t go overboard! If you find yourself making a tight fist around your toothbrush, you’re probably scrubbing too hard. I always keep a decent stash of activated charcoal capsules in my cupboard, on account of their legendary ability to remove toxins from the body and avert potential food poisoning disaster! The key to their anti-toxic powers? Absorption. Upon entering the digestive system, activated charcoal binds to and effectively absorbs gram positive and gram negative bacteria and heavy metals, whereby it passes through the intestines and out the other side… crisis averted! That same toxin-binding ability of activated charcoal can also be put to good effect on your teeth. While it might seem a little alarming at first (rubbing activated charcoal on your teeth turns them jet black), repeated applications of activated charcoal powder on the surface of your teeth helps to remove stains and other toxins that contribute to that unwanted discoloration. I tried putting activated charcoal on my teeth for ten minutes once a day, and after just a week I noticed my teeth were at least a few shades whiter. This one is my personal favorite, on account of there being a decent amount of research to back the claims for once! Oil pulling has been used as a form of oral hygiene for millennia, and there’s a good reason for that: it keeps your teeth squeaky clean! Let’s take a look at the facts. A 2009 study published in the Indian Journal of Dental Research showed that daily oil pulling significantly lowered plaque and gingivitis over the course of just ten days. In a 2008 study, participants oil pulled for ten minutes every morning before brushing for two weeks, exhibiting a dramatic reduction in the common oral pathogen Streptococcus mutans by the end of the trial. Then, in 2011, researchers showed that daily oil pulling for two weeks significantly reduced halitosis, the “sciency” term for bad breath. Oil pulling works as it sounds: swishing an oil of choice (mine is coconut oil) around in your mouth for ten to 20 minutes literally pulls all the toxins, pathogenic bacteria and stains out of your teeth, gums and dark recesses of your pecker. The result is a cleaner, healthier mouth, and whiter, shinier teeth. I call that a win-win. Yup, the same stuff you made hilarious-looking pottery with in art class can also naturally whiten your teeth… weird, right? But while all clays possess an uncanny ability to be non-abrasive while highly polishing (two definite pros when it comes to teeth whitening), one clay surpasses them all: kaolin clay. Research shows that kaolin clay is a superior polishing agent, meaning you can use it to simultaneously remove plaque and polish out the stubborn stains that insist on making your teeth look that sickly cream color. 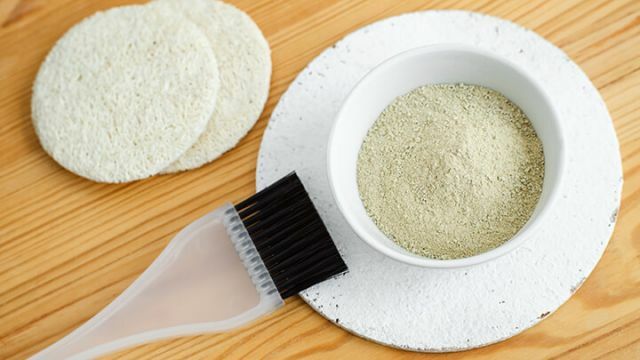 Brushing with clay is best carried out the same as baking soda: dampen a toothbrush, dip it in some clay, gently brush it onto your front teeth. Then, when your saliva turns the clay into a thin paste, amp things up a little. Let us know how it goes! Hey Buddy!, I found this information for you: "4 Natural Teeth Whiteners That Really Work". Here is the website link: https://www.thealternativedaily.com/4-natural-teeth-whiteners-that-really-work/. Thank you.